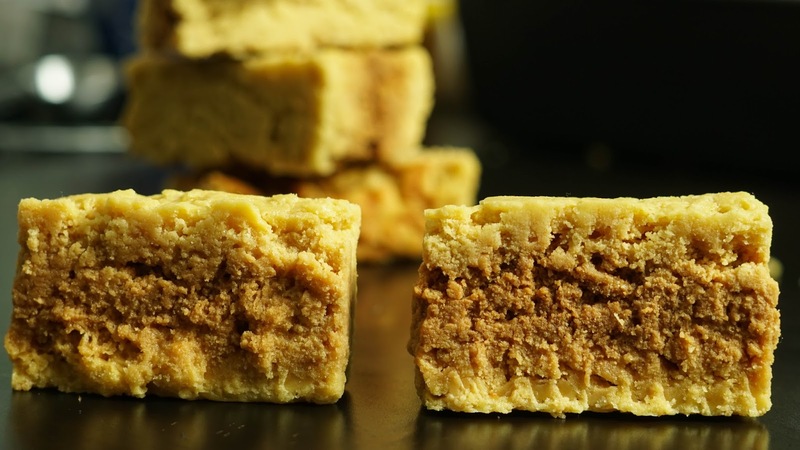 Mysore Pak is a traditional sweet recipe of south India distributed during festivals and functions. this recipe is made with just few ingredients like besan flour, sugar oil and ghee. if we follow some simple tips and tricks we will be able to get the perfect texture with holes inside. Holes in the mysorepak makes the recipe soft and delicious. Lets see how to make this delicious Hard mysorepak recipe. Lets get started. 1 cup ghee should be used minimum for good flavor. Step 3) Once it reaches the desired consistency gradually add besan and mix well without any lumps. Its very important to sift the flour to get lump free mixture. Step 4) Once we get a smooth mixture add a ladle of hot oil+ghee and mix well to incorporate well. Oil should be very hot while adding, we should be able to hear shushhhhhhhh sound . Once fully incorporated add another spoon and mix well. Continue to add until it no longer absorbs oil. Once you see some ghee oozing out add 1 ladle of hot oil and mix well. Once you get bubbles turn off the heat and transfer it to a greased pan. (I used a bread pan) . If all the ghee oozes out it will turn hard so keen in mind while adding ghee , once you see ghee oozing out immediately stop adding further. Step 5) Do not give pressure, gently tap it . The mixture sets immediately after transferring. Once slightly cooled cut it into desired shapes. Do not take it out of pan now , only after the mixture cools completely we need to take it oil. Also use a deep pan to get that nice color at the center. Look at the holes inside, this is what makes the mysore pak get the texture and keeps it light. That's it our delicious mysore pak is ready to be distributed and enjoyed. Please do try this recipe and home and share your happiness with friends and family. Spread the Joy of Cooking !!! Can i use vanaspathi i/o ghee if so the qty. Hv downloaded few videos of yours - bourbon biscuits, veg kurma, jaangri,midiyappam etc., The way you end every video saying naavin suvai arumbugal malarattum is so cute.